To get your car whatever it needs completed on time and where you need your car to be, book a Lubemobile mobile mechanic. We work on all vehicle types including commonly serviced Toyota, Holden and Ford. All work is carried out on site and your mechanic comes equipped for the job ensuring your time and convenience is affected as little as possible. Typical repairs and service work on Chrysler, Land Rover and Holden have been carried out in and around your area already. Parts are sourced quickly and efficiently and we use on the highest quality spares such as bcm module, spark plugs and cam angle sensor. My technician Blake is an excellent mechanic with exceptional customer service skills. He diagnosed the issue with my car quoted the repair costs verbally advised how long it would take to for the part to arrive and when he woul uld be back to repair my car. Overall i was very happy with the job from start to finish. Let us come to you. The easiest and most convenient way to ensure that you keep your service history up to date and on top of your car repairs is to have everything you need done at home, the office or wherever else you happen to be. 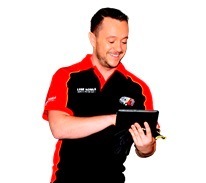 Our mobile mechanics are attending Jerrabomberra, Gordon, Wanniassa and Waramanga. We are everywhere and everywhen you need us to be. 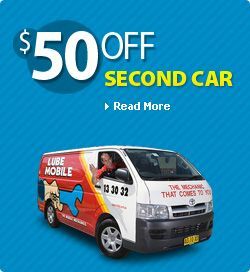 Lubemobile is Australia’s #1 fleet of mechanics servicing and repairing vehicles all over the country with over 1,294 vehicles attended to in your local area alone over the last 3 months. Regular vehicle services and jobs around your area have included Log book servicing. Our specialists have what they need to complete a full service and repair at your chosen destination including tyre replacement and specialty tyre related repairs, throttle positioning sensor check and centre bearing replacement. We service and repair all vehicles including Volkswagen and Peugeot. Your mechanic arrives within your specified time window and carries out everything on the spot. We do not make unauthorised repairs and you’re kept in the loop with what your vehicle needs and why. In recent months we have received over 36 positive reviews from our happy in the Canberra. Book a mobile service or repair today for wherever is the most convenient location and time for you, and have one of our 9 in Canberra attend to your vechicle today.